At this moment, I want to have an exciting news with fans of FFXIV that Final Fantasy XIV will arrive in Paris, France for Japan Expo 2018. The community team will be waiting for you in Villepinte for the usual Battle Challenge, goodies, and a Fan Gathering. When will this event be held? It will be held on Thursday, July 5, 2018, to Sunday, July 8, 2018, in Parc des expositions de Paris-Nord Villepinte on Hall 6, Booth B642. Gather your friends and fellow Warriors of Light to tackle Byakko and the latest Primal in Final Fantasy XIV: Stormblood. Winners will receive the famous "I BEAT t-shirt". Naturally, no one will leave empty-handed as Final Fantasy XIV team will have goodies for everyone who stops by the booth. Final Fantasy XIV will start the event with a Fan Gathering on Thursday, July 5, 2018, from 20:00 (local time). It has Goodies, Quiz, Food and drinks, Photos, And more! How to register: you can register to the event by sending a private message to the Official Final Fantasy XIV French Facebook page. You ought to include the following details in your message: Name, Date of birth. If you would like to invite a friend: Name of your friend, Date of birth. 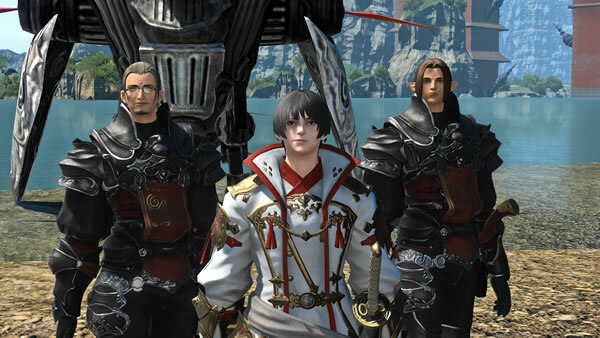 Final Fantasy XIV will select the first 30 attendees on a first come first serve basis. The remaining 30 slots will be raffled between all of those who showed their interest by sending a message to the Official Final Fantasy XIV French Facebook page by June 29th. Successful applicants will be contacted via Facebook message to confirm their attendance before June 29th. You should bear in mind that the event will only be open to attendees that are over 18 years of age on the day of the event. What are you still hesitating about? If Final fantasy xiv gil is missing in the game, choosing our website would be a good choice.